Zimpfer Dental’s team of professional staff prides themselves on being the friendliest people you’ve ever met in a medical or dental office. We all love our work and choose to do this for a living, and it shows! We have worked together as one dedicated team for many years, and we spend many hours each month developing and refining our skills in order to bring you the best and most comprehensive care we can offer. 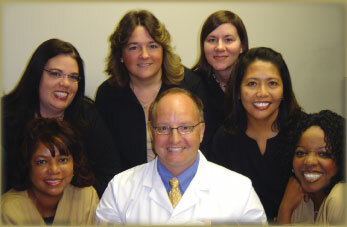 Dr. Zimpfer received his DDS from Indiana University after completing a Biology degree from Wabash College. Dr. Zimpfer has continued his studies in the areas of cosmetic dentistry, endodontics, oral medicine and rehabilitative dentistry. His professional affiliations include the American, Indiana and Indianapolis Dental Associations, and he has been featured on many local media affiliates. Dr. Zimpfer enjoys spending all the time he can with his wife and three children, coaching soccer and volunteering at church.